(ideas.) With the undeniable success of the Atlanta Beltline’s Eastside Trail and this November’s groundbreaking of the long-anticipated Westside Trail, we have much to be thankful for. Of course behind the smiles, hugs, tweets and posts, and behind our lifting economy and improving quality-of-life, we still have challenges ahead to make sure that everyone will benefit. 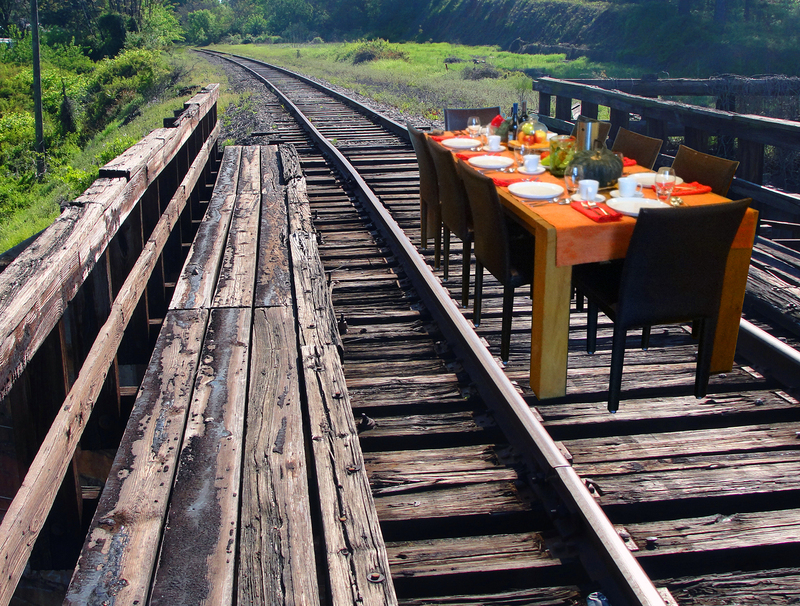 But in this week of Thanksgiving, I’d like to emphasize that we would have those challenges regardless of whether or not we build the Atlanta Beltline, and that the project itself actually presents an unprecedented opportunity to solve them. Unlike anything else in this region, the Atlanta Beltline’s broad, inclusive vision brings positive attention to the challenges of city-building. This energy then obligates us to tackle issues like affordability, displacement, and inadequate funding for things like public space and transit so that the whole thing moves forward in the best possible way. In the early days of our movement, the simple idea of repurposing a 22-mile loop of old railroads brought together a motley coalition of community organizers, developers, and non-profit groups. We were surprised to find ourselves sitting at the same table and wanting the same outcome, but there we were. The energy from that table created a momentum for the Atlanta Beltline that could not be ignored. Our wide-ranging conversations about the project brought other people to the table, who in turn expanded our conversation. Our table grew larger, offering seats for new parks, housing, health, art, and a linear arboretum. I love this analogy of a table. Today, the Atlanta Beltline remains a table for different people to come together and discuss their future, to hash out compromise, to make the project better, and to establish relationships that make challenging conversations possible. This model for city-building requires more than leadership. It demands every seat be filled with vigilant citizens and advocate organizations that are actively engaged in the project’s implementation and that are willing to hold leadership accountable. It’s working. 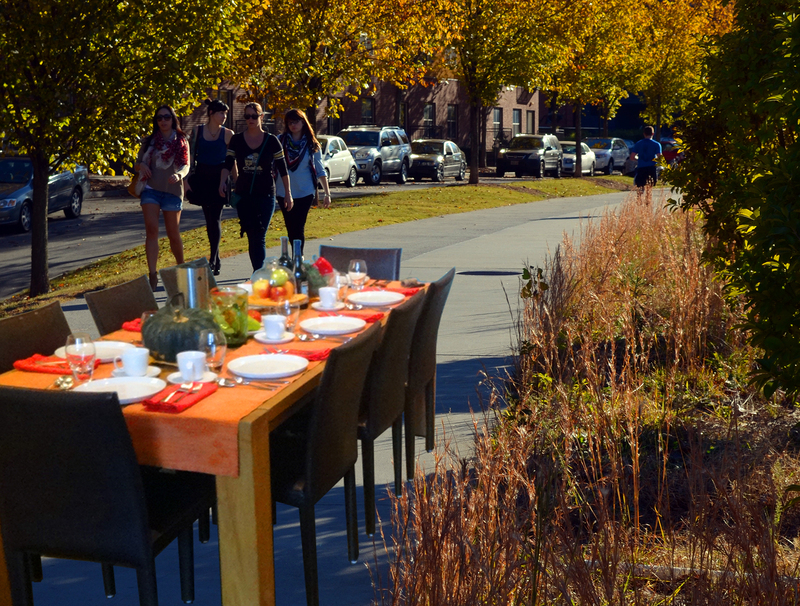 As new and revived initiatives continue to organically emerge, we can be thankful that our 22-mile table is still provoking positive and grassroots-oriented change throughout our city. A table for Art & Culture. We can expand our current arts programming and invest in cultural facilities, artist housing, and workspaces, and we can develop a more robust curatorial process. We can build an economy around the arts that values the protection of our arts community. And through all of this, we can support a high standard of permanent, temporary, and performative art commensurate with our opportunity for a world-class cultural infrastructure. A table for Community Food Networks. We can support an emerging food movement that leverages Atlanta’s exceptional restaurant scene and cooperative growing climate to better support jobs, education, health, and social capital. We can build community gardens and farms and support food hubs, food production, and processing. In the process, we can not only improve access to fresh foods and build an economy around food, we can train a new generation of gardeners as leaders in a national movement of community food networks. A table for Equity. We can expand our commitment to equitable development of the Atlanta Beltline beyond transit, trails, and parks, or any of these newer initiatives. We can set aside the ambiguity of “gentrification” to more directly address equity, access, affordability, and displacement because these things matter to all of us. Thankfully, as our economy rebounds post-recession, our obligation to these early promises is prompting a more thoughtful and inclusive table for tackling the challenges of change and defining a new model of equitable infrastructure. Ryan: found this as I was looking for your talk. Looks like I’m a year late but wanted to commend you for your broad vision for improving quality of life for all citizens.